August is a fab month for me as I've just released my new single with Martin Eriksson and I'm so excited... Already we've had such a HUGE response from DJ's around the world and for this I am truly grateful. It's tough out there in the music industry as we all know and to say that "Goodbye" is getting out there organically and just because peeps like it.... yeah this makes me super happy! In the first week of promo we were already getting many 8/10, 9/10 or even 10/10 for the track and feedback was good. I'm really excited about this track... As you may know or may not know I've been in the music biz for years and years now and I've been writing for quite a while and collaborating with DJ's around the world for the last few years.... 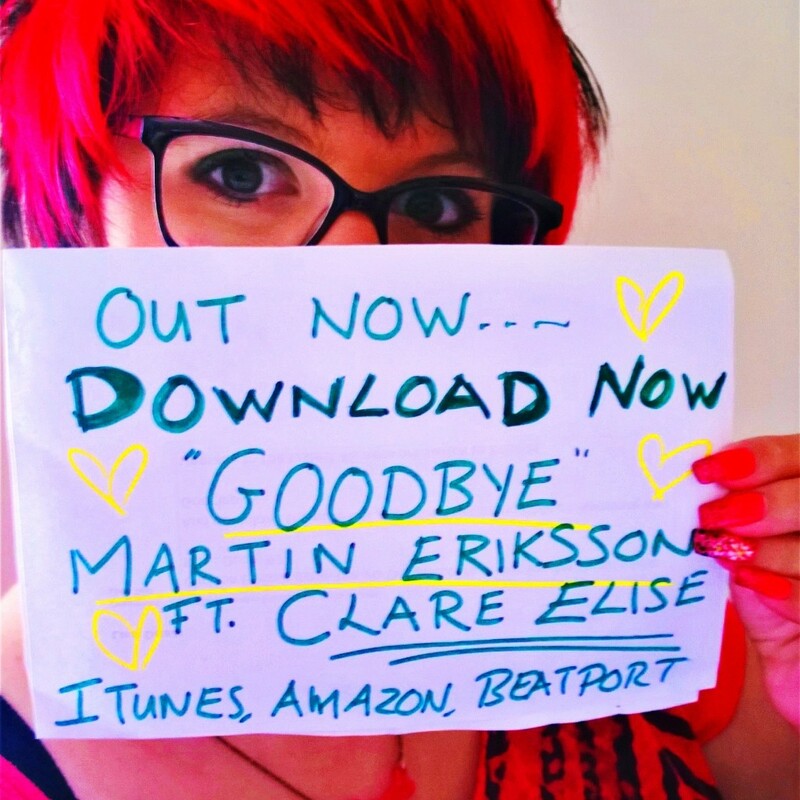 I'm really happy with how things are going with this song and urge you to support and help us get Goodbye - Martin Eriksson ft. Clare Elise higher up the charts, downloaded by many, played by big names and HOPEFULLY played on BBC Radio 1 (This would be a dream come true). Help us get this out there... WE CAN DO IT!!!! Copyright Clare Elise unless otherwise stated.